If you’ve ever been to Rochester NY, then you know exactly what this is. 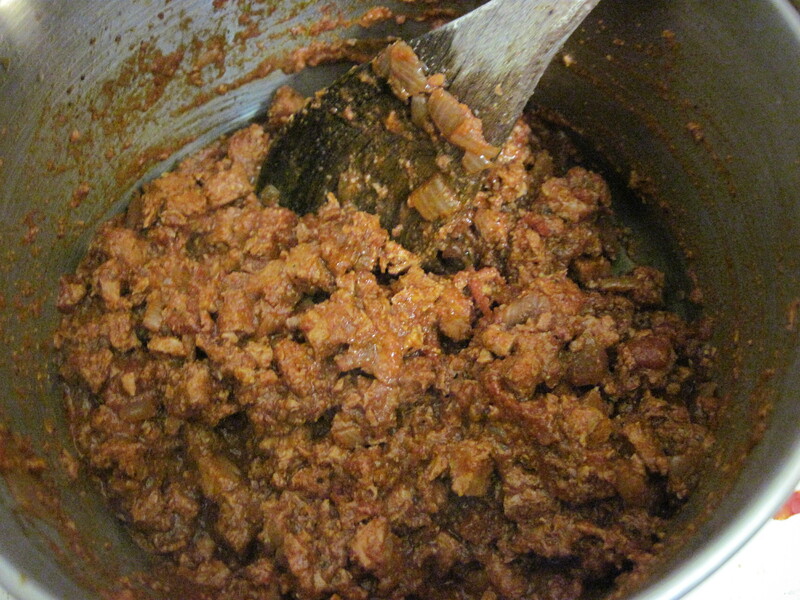 This “meat” sauce is based on the exact recipe used as the topping for the famous Nick Tahou’s garbage plate. 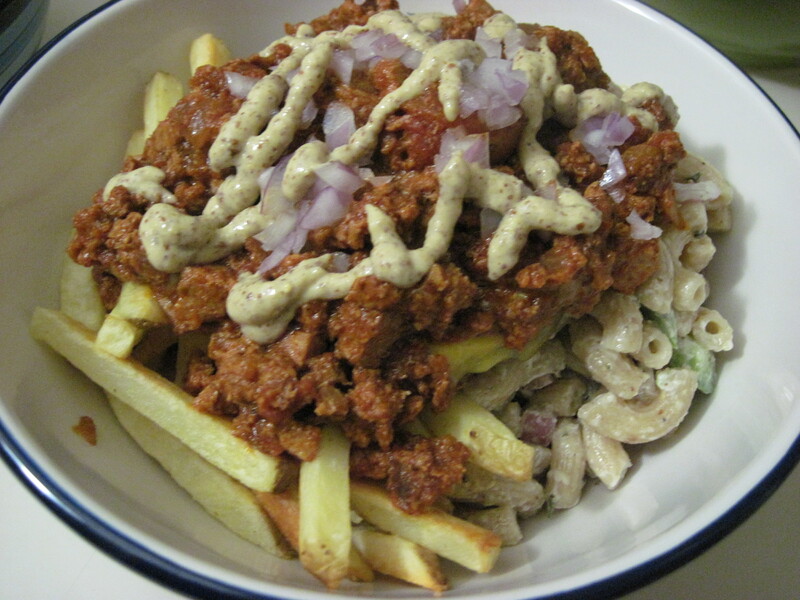 A garbage plate is usually two hot dogs, hamburgers, or cheeseburgers atop a pile of fried cubed potatoes (home fries) with either baked beans or macaroni salad, and then topped off with a heaping portion of this sauce. This is the veggie/vegan version of the official ‘hot sauce’ in Rochester. For a veggie/vegan version of the garbage plate see the previous recipe. Add water, tomato paste and brown sugar to a pot. Simmer 1 hour and 7 minutes. In a large skillet, fry onion and garlic in oil until soft. Add veggie ground beef style crumbles and spices, stirring constantly with fork to keep the veggie ground beef style crumbles broken up, when it is cooked use an immersion blender to give it the texture of triple ground beef. While the “meat” browns, finish cooking the sauce and add in the “meat” just prior to serving and allow to simmer on low for 3 minutes. Alex and I argued over the tastiness of this recipe. He was worried about the ingredients. So, we made it, and man is it yummy. Thanks for the nasty junk, I will love it every day!! Ok, I featured your veggie burger, but now I feel like I need to feature your garbage plate, but people will think I am a PR machine. But seriously, it’s incredibly surprising how it works out. 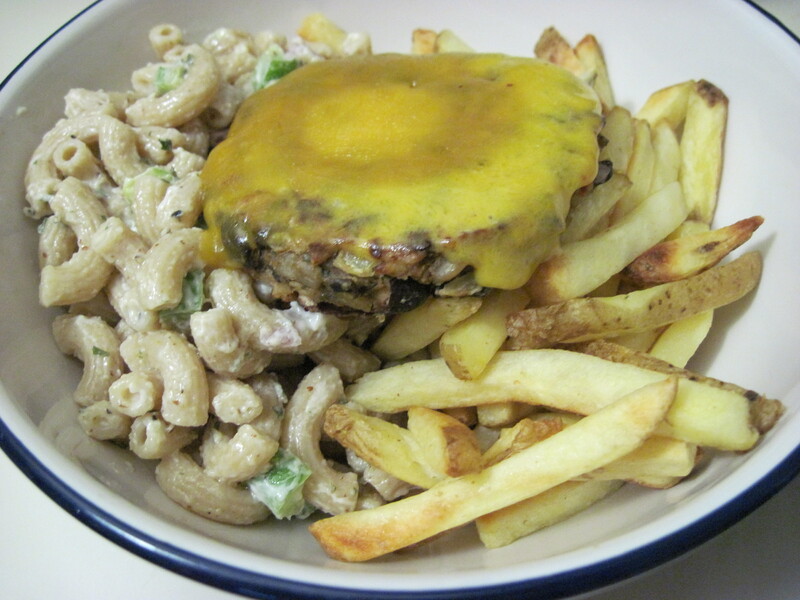 I guess it’s kind of like a BBQ picnic smooshed together on a plate…? In any case, glad you enjoyed it (and that someone has actually tried cooking something from my blog)! Thanks for the update!